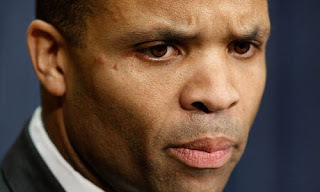 CHICAGO — U.S. Rep. Jesse Jackson Jr. (pictured) is being treated at an inpatient medical facility for “physical and emotional ailments” that are “more serious” than previously believed and will require extended treatment, according to a statement released by his office Thursday. The Chicago Democrat, who faces a House ethics investigation over his ties to imprisoned former Illinois Gov. Rod Blagojevich, has been on medical leave for three weeks for exhaustion. His office did not announce the news until last week, when it released a three-sentence statement. But no details about Jackson’s whereabouts and condition had been released since then. A Thursday statement from his office did not disclose his location or provide details of his medical condition. Messages left for his spokesmen were not immediately returned. Messages left Thursday for his wife, Chicago Alderman Sandi Jackson, and a brother who is a professor in Chicago, were not immediately returned. Jackson’s father, the Rev. Jesse Jackson, did not immediately have a comment. Congressman Jackson, who first won office in 1995, has been under intense scrutiny in recent years because of his ties to Blagojevich and an extramarital affair. Both issues have come up on the campaign trail and with voters. Earlier this year, Jackson had to campaign harder than he has in years when he faced a credible primary challenge from former U.S. Rep. Debbie Halvorson, who made Jackson’s ethical troubles a focus of her campaign. A pending House Ethics Committee probe is considering allegations that Jackson was involved in discussions about raising money for Blagojevich’s campaign in exchange for the then-governor appointing him to President Barack Obama‘s vacated U.S. Senate seat. Jackson also allegedly directed a fundraiser and longtime friend, Raghuveer Nayak, to buy plane tickets for a woman described as Jackson’s “social acquaintance.” Jackson has since called it a personal matter that he and his wife have dealt with in private. Nayak was arrested last month and pleaded not guilty to unrelated fraud charges involving outpatient surgery centers he owns. At Blagojevich’s first corruption trial in 2010, prosecutors said another Blagojevich fundraiser was ready to testify that Jackson instructed Nayak to raise money for Blagojevich’s campaign to help him secure the Senate seat. The same witness later testified that he attended a meeting with Jackson and Nayak. Jackson never has been charged and has denied any wrongdoing. Jackson represents Illinois’ 2nd District, which includes neighborhoods on Chicago’s South Side and in its south suburbs.